Have you ever looked at your favorite website and wondered exactly what made it tick? Have you looked at the way it was laid out, the way the buttons acted when you clicked them, or any other part of the site and thought, “I wonder how complicated that is?” or, “I wish I could do that”? All of those visible site features are built through front end development (sometimes also called “front end web development”). While web design is the way a website looks, front end development is how that design actually gets implemented on the web. Meanwhile, a front end web developer is the person who does that implementation. 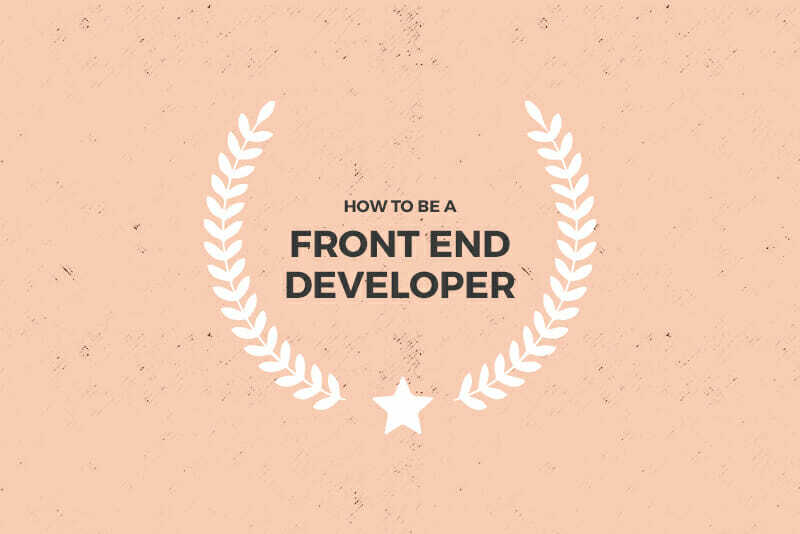 This article will break down some of the key skills front end web developers use on the job. Meanwhile, you can read our guide on everything it takes to start a web developer career here. What Skills do Front End Developers Use? What Skills do Front End Web Developers Use? The code they write runs inside the user’s browser (as opposed to a back end developer, whose code runs on the web server). Think of it a little like this: the back end developer is like the engineer who designs and creates the systems that make a city work (electricity, water and sewer, zoning, etc. ), while the front end developer is the one who lays out the streets and makes sure everything is connected properly so people can live their lives (a simplified analogy, but you get the rough idea). A front end web developer is also in charge of making sure that there are no errors or bugs on the front end, as well as making sure that the design appears as it’s supposed to across various platforms and browsers. I’ve combed through dozens of front end web developer job listings to see which skills are the most in-demand right now. These are the things that real employers are looking for in job applicants today (and will still be looking for in the near future). Master these things and you’re certain to land an awesome front end dev job! HTML (Hyper Text Markup Language) and CSS (Cascading Style Sheets) are the most basic building blocks of web coding. Without these two things, you can’t create a website design, and all you’ll end up with is unformatted plain text on the screen. You can’t even add images to a page without HTML! Before you get started on any web development career path, you’ll have to master coding with HTML and CSS. The good news is that getting a solid working knowledge of either of these can be done in just a few weeks. The best part: HTML and CSS knowledge alone will let you build basic websites. It’s also the most popular programming language in the world, so regardless of your dev career plans, it’s a super valuable thing to learn. Preprocessors are another element that a front end developer can use to speed up CSS coding. A CSS preprocessor adds extra functionality to CSS to keep our CSS scalable and easier to work with. It processes your code before you publish it to your website, and turns it into well-formatted and cross-browser friendly CSS. SASS and LESS are the two most in-demand preprocessors, according to real job listings. Without getting too technical on this one, REST stands for Representational State Transfer. In basic terms, it’s a lightweight architecture that simplifies network communication on the web, and RESTful services and APIs are those web services that adhere to REST architecture. Read more about REST and RESTful services here. Let’s say you wanted to write an app that shows you all your social media friends in the order you became friends. You could make calls to Facebook’s RESTful API to read your friends list and return that data. The same thing with Twitter (which also uses RESTful APIs). The general process is the same for any service that uses RESTful APIs, just the data returned will be different. While it all sounds really complicated and technical, it’s a simple set of guidelines and practices that set expectations so you know how to communicate with a web service. They also make a web service perform better, scale better, work more reliably, and be easier to modify or move. In the US alone, more people access the internet from their mobile device than from a desktop computer, so it’s no wonder that responsive and mobile design skills are super important to employers. Responsive design means that the site’s layout (and sometimes functionality and content) change based on the screen size and device someone is using. For example, when a website is visited from a desktop computer with a big monitor, a user would get multiple columns, big graphics, and interaction created specifically for mouse and keyboard users. On a mobile device, the same website would appear as a single column optimized for touch interaction, but using the same base files. Mobile design can include responsive design, but also includes creating separate mobile-specific designs. Sometimes the experience you want a user to have when visiting your site on a desktop computer is entirely different than what you want them to see when visiting from their smartphone, and in those cases it makes sense for the mobile site to be completely different. A bank website with online banking, for example, would benefit from a separate mobile site that lets users view things like the closest bank location and a simplified account view (since mobile screens are smaller). If you want to learn all about mobile design, check out the Secrets To Building Mobile Sites Users Love. Modern browsers are getting pretty good at displaying websites consistently, but there are still differences in how they interpret code behind the scenes. Until all modern browsers work perfectly with web standards, knowing how to make each of them work the way you want them to is an important skill. That’s what cross-browser development is all about. Read more about cross-browser compatibility here and here, or check out Daniel Herken’s Cross Browser Handbook for a deeper dive. Almost every website out there is built on a content management system (CMS). (E-commerce platforms are a specific type of CMS.) The most popular CMS worldwide is WordPress, which is behind-the-scenes of millions of websites (including Skillcrush! )—almost 60% of websites that use a CMS use WordPress. The other most popular CMSs include Joomla, Drupal, and Magento. While knowing these won’t put you in as much demand as being a WordPress expert, they can give you a niche that will be desirable among companies who use those systems (and there are plenty out there). 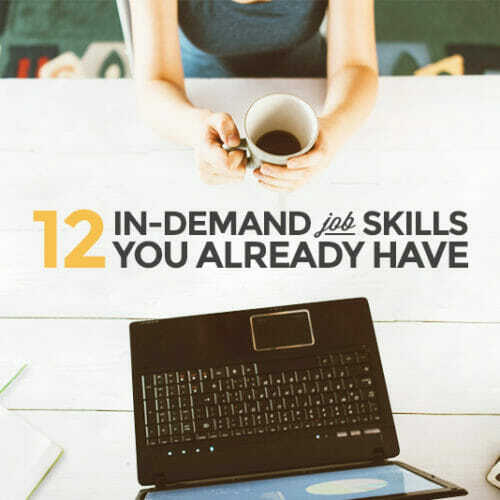 Skillcrush’s Freelance WordPress Developer Blueprint is a great place to learn what you need to know to get started! It’s a fact of life for a front end web developer: bugs happen. Being familiar with testing and debugging processes is vital. 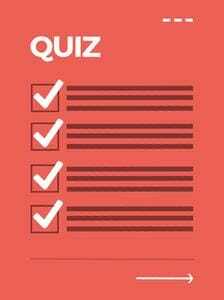 Unit testing is the process of testing individual blocks of source code (the instructions that tell a website how it should work), and unit testing frameworks provide a specific method and structure for doing so (there are different ones for each programming language). Another common type of testing is UI testing (also called acceptance testing, browser testing, or functional testing), where you check to make sure that the website behaves as it should when a user is actually taking actions on the site. You can write tests that will look for things like particular HTML on a page after an action is taken (like making sure that if a user forgets to fill out a required form field, that your form error box pops up). Debugging is simply taking all the “bugs” (errors) those tests uncover (or your users uncover once your site is launched), putting on your detective hat to figure out why and how they’re happening, and fixing the problem. Different companies use slightly different processes for this, but if you’ve used one, you can adapt to others pretty easily. Version control systems let you keep track of changes that have been made to code over time. They also make it easy to revert back to an earlier version if you screw something up. So let’s say you add a customized jQuery plugin and suddenly half your other code breaks. Rather than having to scramble to manually undo it and fix all the errors, you can roll back to a previous version and then try again with a different solution. Git is the most widely used of these version control management systems. Knowing how to use Git is going to be a requirement for virtually any development job. This is one of those vital job skills that developers need to have, but that few actually talk about. If there’s one thing that all front end developers have to have, regardless of the job description or official title, it’s excellent problem solving skills. From figuring out how to best implement a design, to fixing bugs that crop up, to figuring out how to make your front end code work with the backend code being implemented, development is all about creative problem solving. Let’s say you’ve created a perfectly-functioning website front end, and you hand it over to the back end developers for them to integrate it with the content management system. All of a sudden, half your awesome features stop working. A good front end developer will view this as a puzzle to be solved, rather than a disaster in the making. Of course, an excellent, senior-level front end developer will anticipate these problems and try to prevent them in the first place! 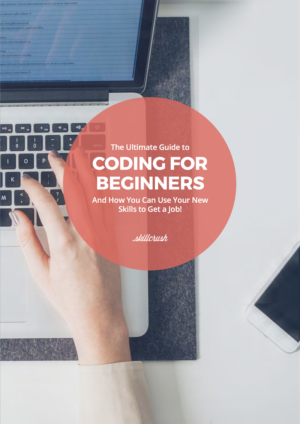 If front end web development sounds pretty awesome to you, you’re probably wondering where to actually get started. 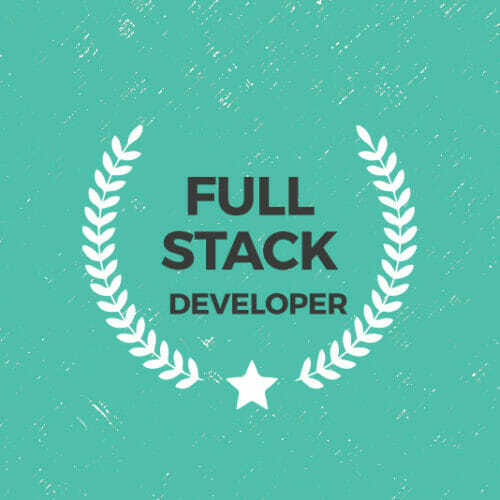 If you’re pumped about working as a front end developer but not sure where to get the skills, you’re in the right place! 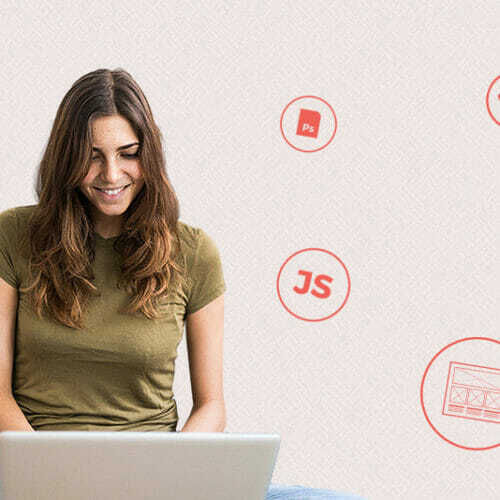 Skillcrush’s Front End Developer Blueprint is an online course designed to be completed in 3 months by spending an hour a day on the materials. 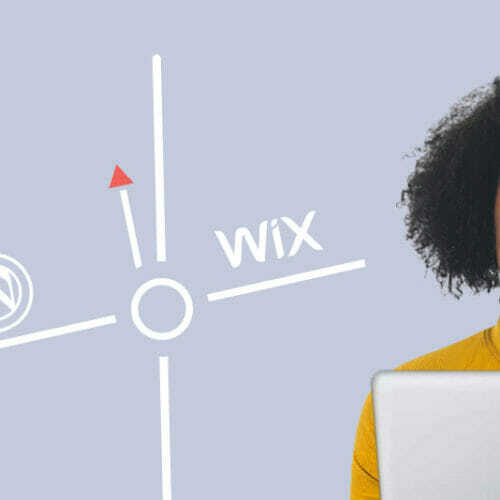 Why Bother Learning WordPress When You Can Use Wix Instead?